City of London Sinfonia has been the resident orchestra at Opera Holland Park since 2003, playing repertoire from the eighteenth to the twentieth century. 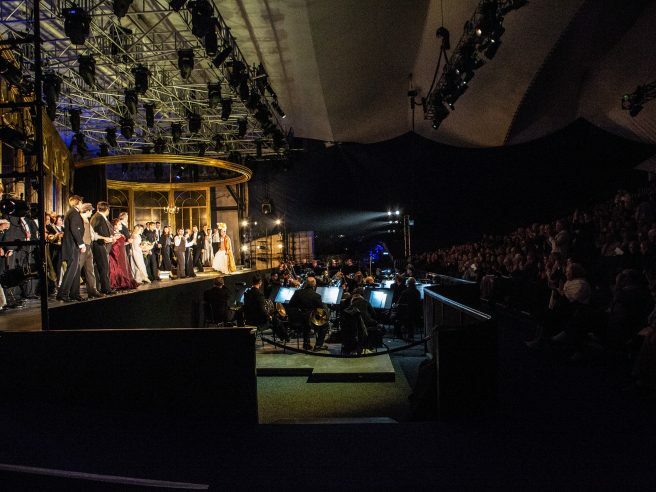 The orchestra plays for nearly all performances given by Opera Holland Park onstage at the OHP theatre. City of London Sinfonia (CLS) is an English chamber orchestra based in London. 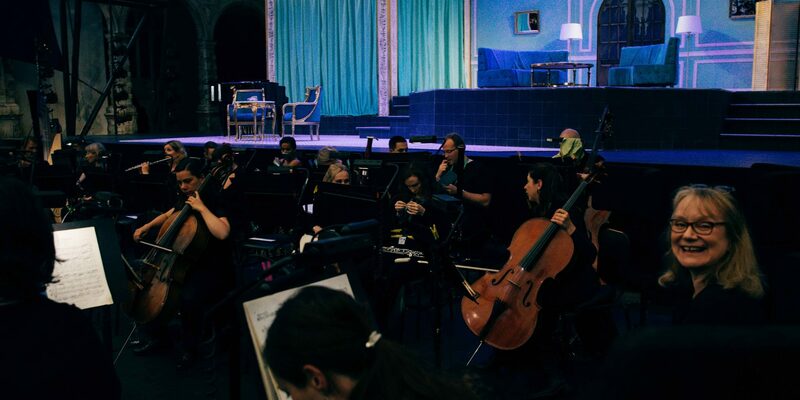 It is the orchestral home to over 40 musicians, who perform together across more than 75 performances and spend over 150 days delivering participation projects each year. The Orchestra presents the highest quality performances by removing the barriers between musicians and audiences, allowing them to experience the life-changing power of music. CLS invites jazz, folk and contemporary musicians, artists in film, dance or visual art or with explorations of science, history or philosophy, to enhance and transform performances, giving an extra dimension to new music and shedding new light on the familiar. 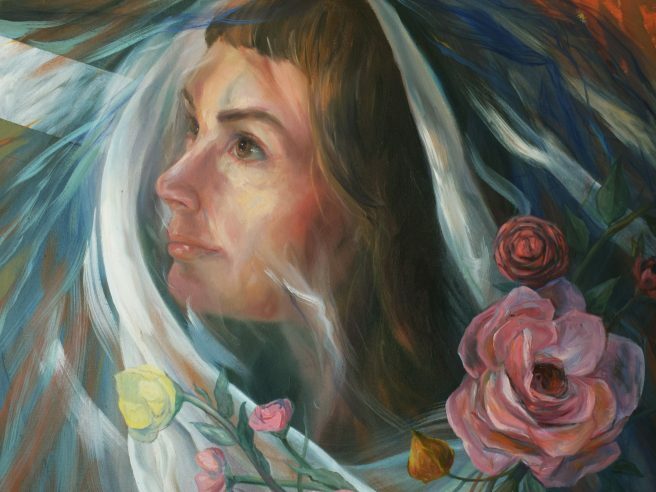 As part of their participation work, musicians of CLS work with young people with life-limiting, psychiatric conditions, schoolchildren in culturally-disadvantaged areas and older people who are struggling with grief and the loss of memory. CLS also performs in schools and nurseries; their music gives very young children the chance to experience the joy and fun of orchestras for the first time and lets them fall in love with it, opening a path to performing, firing their creativity, and boosting their learning. I have had the great privilege of conducting the City of London Sinfonia at Opera Holland Park in every season since 2011. Over the years we have developed a wonderful rapport – a real sense of musical partnership – and I hugely look forward to our rehearsals and performances together. This is an orchestra of alert, open, agile, responsive and generous musicians. Moreover they are an exemplary opera orchestra – always sensitive to the challenges of the opera pit, the needs of the singers, and to the drama. They react in the moment throughout each performance, creating proper music theatre. No opera conductor could ask for more. 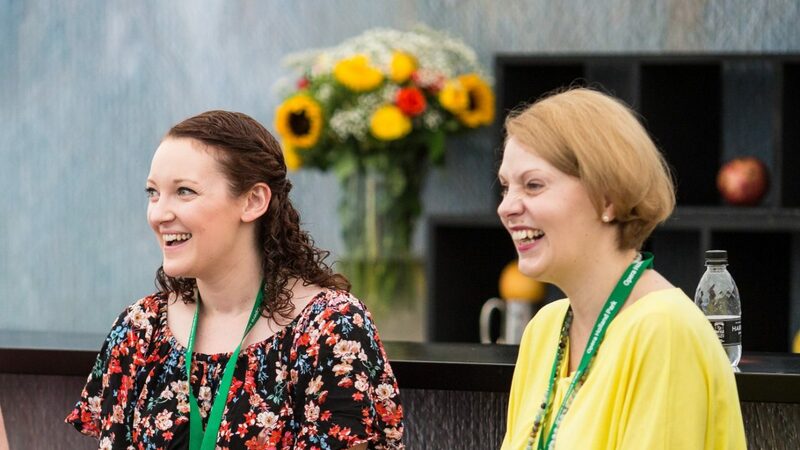 From insightful discussions to a new series of events examining the elements of opera, there's plenty to explore in our 2019 Season events programme. Find out what to expect when you join us in our temporary, canopied auditorium in Holland Park for one of our main stage opera performances. 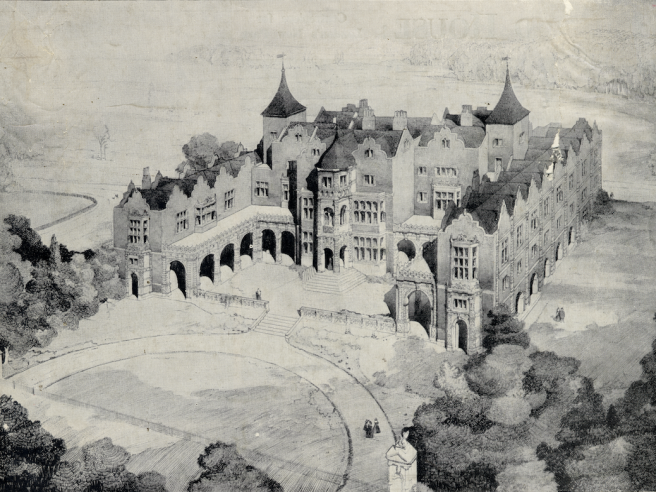 Investec Opera Holland Park’s history can be traced to 1605, when Holland House, the backdrop of our beautiful canopied theatre, first came into existence.